It was great to see much higher water levels from our first nor'easter of the season. Some 2 to 4 inches of rain fell in the Assabet River's watershed over a 3 day period. The small islet upstream of Crow Island, sometimes used by duck hunters, was smaller than usual (photo at left). I launched early yesterday morning from Magazu's Landing in Stow and my main objective was seeing if the beaver dam below Gleasondale was still intact. Reports of gunfire reminded me that duck hunting season is underway. That meant wearing my orange hat, orange gloves, and emitting some loud whistling before paddling around sharp bends in the river. Before heading out on the water, I'd read an interesting article in Saturday's Boston Globe by Thomas Farragher entitled "Bottle bill opponents overplayed their hand" in which Farragher refers to the No on Question 2 folks having used false and misleading data in their television ad campaign. The article appears to have left the author believing the American Beverage Association and supermarket chains are going to be successful on Nov. 4th in preventing our bottle bill from being expanded to include non-carbonated beverages. I sure hope folks will think about how they were deceived (and I believe the deceit was deliberate) when they walk into the voting booth. If the American Beverage Association and the supermarket chains get away with it and are successful, think of how this bodes for the future. Those with deep pockets can use phony data within slick ads to convince voters of whatever they wish. Maybe it's already too late as the worn-off letters on my TV remote's "mute" button would indicate. 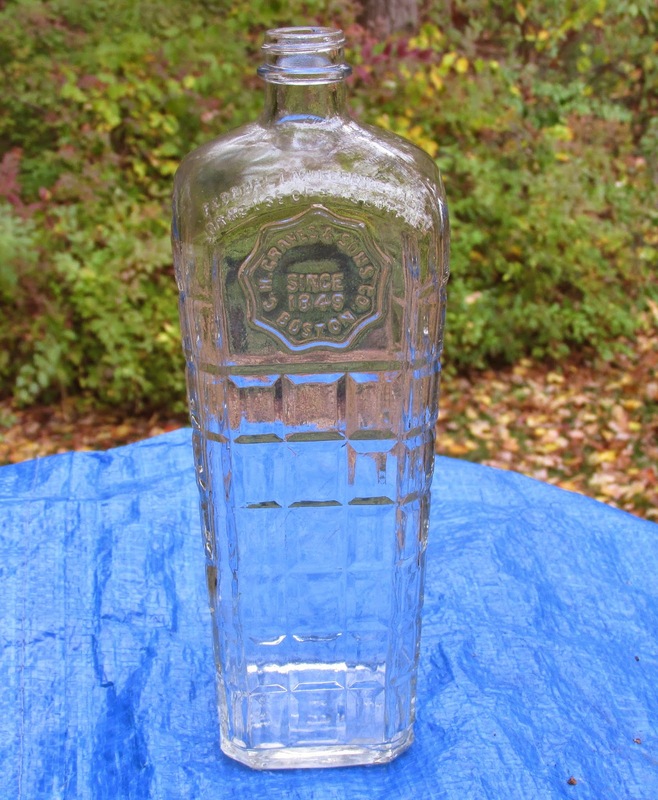 You've made some impressive bottle finds this year; maybe the mix of low then high water? Hello PenobscotPaddles, You're probably right about the water going from very low to high (perhaps rapidly). Most of the glass bottles I've found have been either on the bottom or sticking out of the river bank. I was surprised to find this one floating at the surface. I'm amazed by what a little Bon Ami can do.